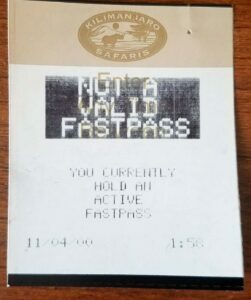 Debuting in 1999, the FastPass system required guests to physically walk to the attraction, insert their park ticket into a distribution machine and hold onto a printed paper return ticket. The return window times were typically displayed digitally above the distribution area with a return start and end time. 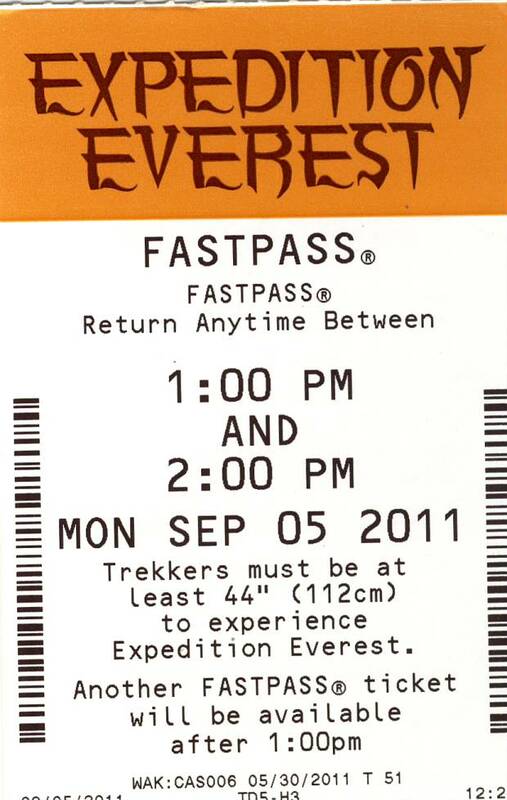 As the passes were distributed during the day, the window would continually shift further out until all passes have been given out for that day. 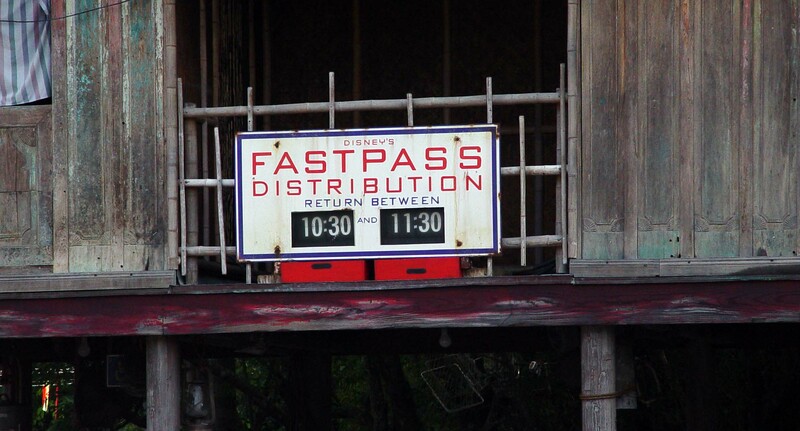 Guests could only have 1 active fast pass at a time, or wait at least 2 hours from the time of the last distribution. This meant that guests had to choose wisely not only which rides they wanted passes for, but also factor in the time to physically walk to the attraction of choice, get a FastPass, and then go do something else until the return time. This usually resulted in queuing up for another ride with a shorter line, shopping, or grabbing a bite to eat. 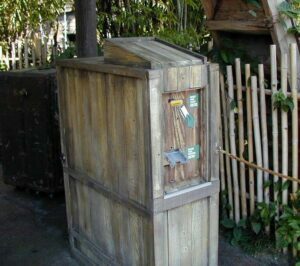 The distribution machines were themed for the attractions and area in which they belonged. 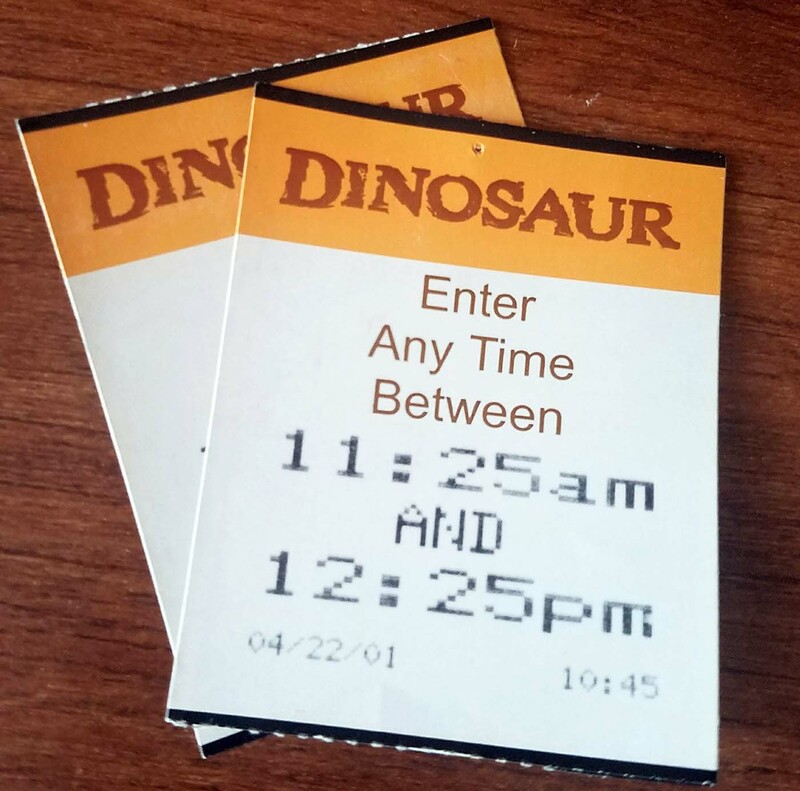 The guest would insert their ticket or Key to the World card in the top, and the FastPass paper ticket would spit out the bottom. Sometimes, the machines would get jammed, run out of paper or simply not always work. A cast member was typically standing by to assist and help retry the pass, or press a magic button to distribute associated FastPasses. Long lines would sometimes form as many guests approaching the machine simply did not know what do to, or attempted to stuff the passes in too fast. 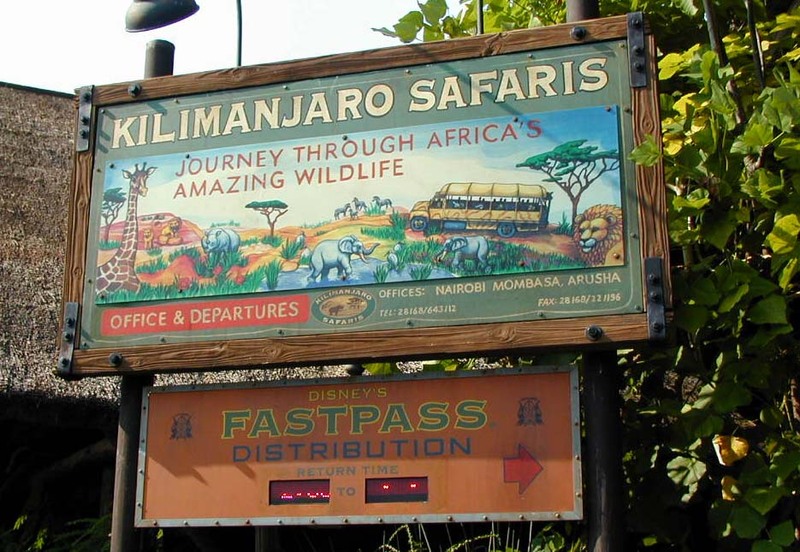 Some confused guests believed the line to get FastPasses was the line for the actual attraction. The return queue was normally, but not always, next to the standard entrance queue (also know as the stand by queue). A clock would be present to allow the guest to know the official return time. 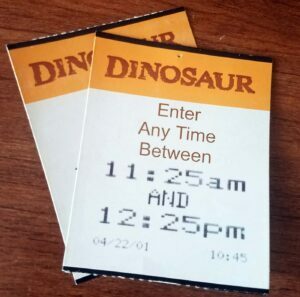 Cast members would manually verify the return window printed on the card before letting the guest in. They would allow some leeway in the end time of the return, more or less 15-30 minutes past the return depending on the cast member. 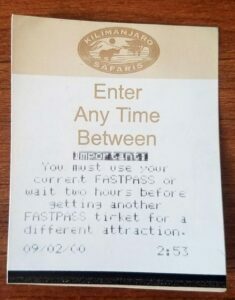 In some queues, an additional check would be performed closer to the ride load area. 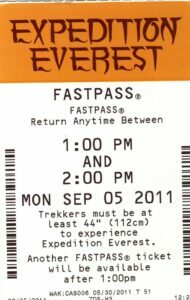 In either case, a case member would collect the ticket before the guest boarded the ride. The pictures of tickets on this site are ones that I ended up not using and held on to as a souvenir. One common issue at the return area involved groups of guests crowding the return queue waiting for their return window time. This would make it difficult for guests to get through that were already within their return window. Some guests would not realize what was happening and simply wait in line outside the return window crowd. 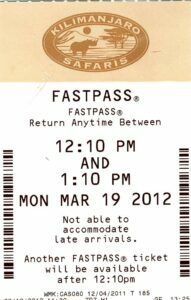 This was frustrating and still happens at times today with the FastPass+ system. 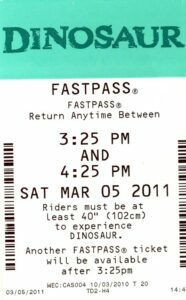 “Disney’s FASTPASS” service is FREE to all guests. This was different than paid services at competitor’s parks. I’ve had friends over the years ask me this same question even with the current FASTPASS+ system. 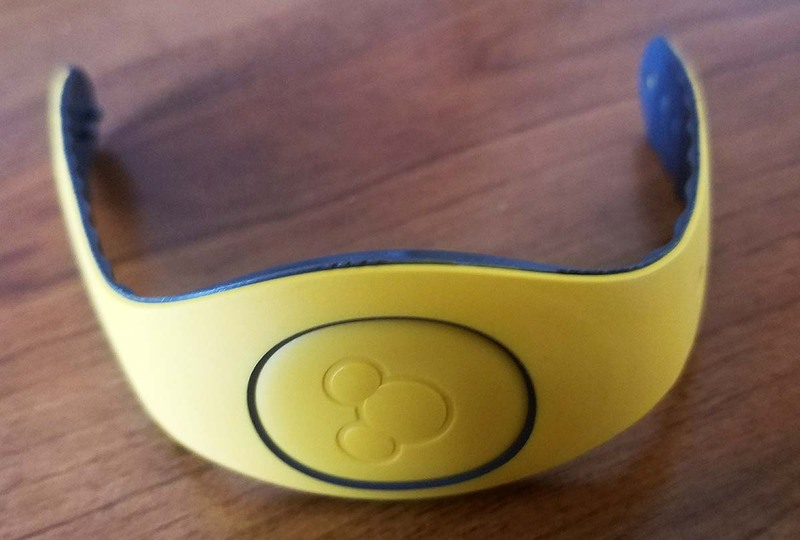 Yes, it is free….. unless you are buying the MaxPass at Disneyland… or the new paid systems at Disney World ($50/person/day) with it’s additional perks. 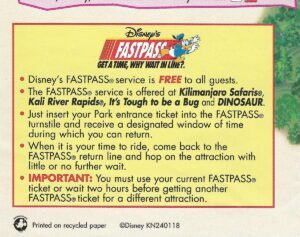 “Just insert your Park entrance ticket into the FASTPASS turnstile and receive a designated window of time during which you can return.” This is a bit odd, because the distribution machine really wasn’t a turnstile. 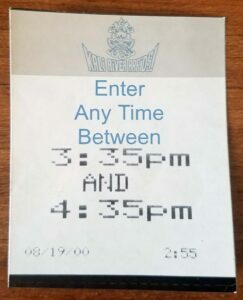 “When it is your time to ride, come back to the FASTPASS return line and hop on the attraction with little or no further wait.” I’m not sure exactly what “no further wait” was meant me mean. 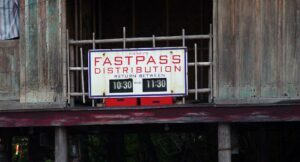 Was this to cover the times when the FASTPASS return line was the same length as the stand by entrace? “IMPORTANT: You must use your current FASTPASS ticket or wait two hours before getting another FASTPASS ticket for a different attraction.” Unlike the FASTPASS+ system, you could not plan out the entire day ahead of time. 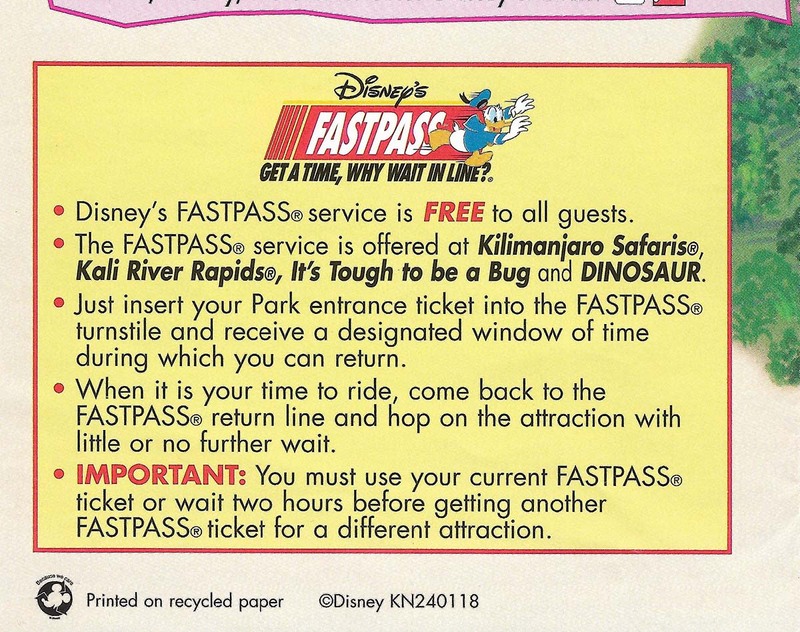 Messaging for guests was already printed on the actual FastPass. While the systems were built to run outdoors in Florida weather and included a cast facing display, there was no guest facing display. 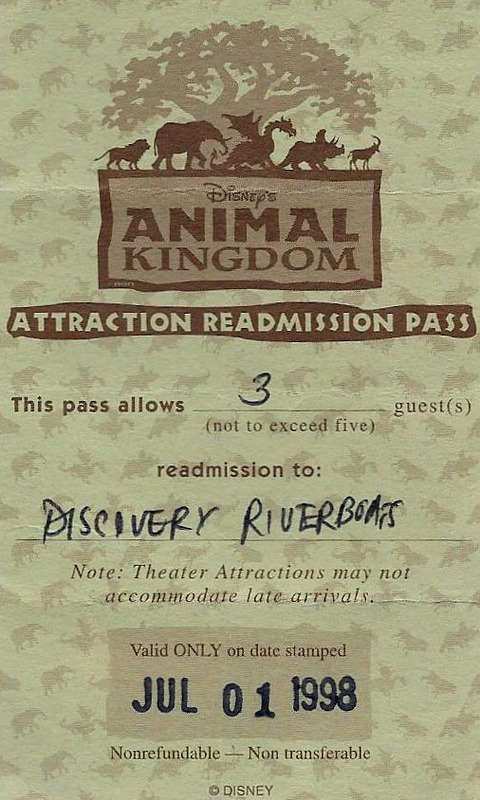 This often resulted in many extra “invalid” FastPass tickets. 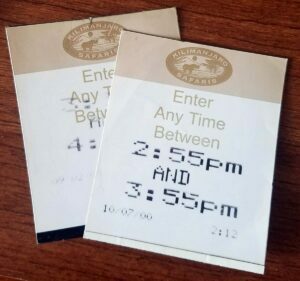 The paper was pre-printed with attraction specific logos, while the return (or error) information was printed along with the date and timestamp. 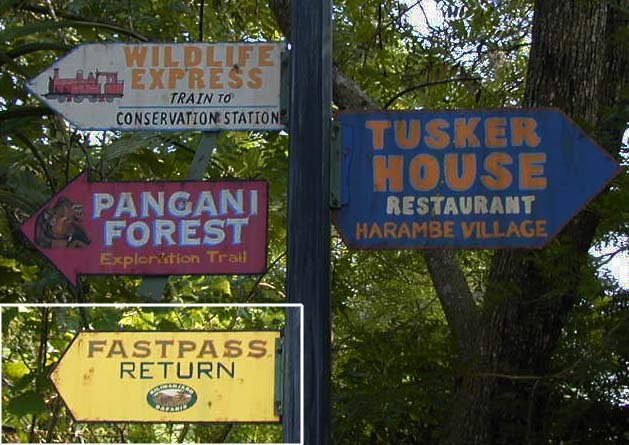 Kali River Rapids FastPasses was very popular during warmer months, but not usually required during the winter. Most folks, myself included, do not get excited about getting wet when it is cold. 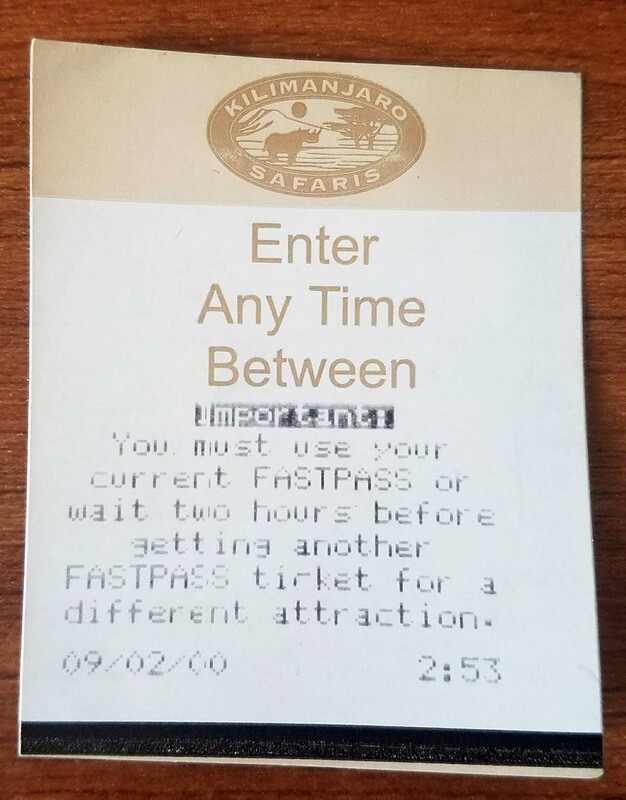 “Important: You must use your current FASTPASS or wait two hours before getting another FASTPASS ticket for a different attraction.” If you already had a FastPass for another attraction, the system would remind you that you need to wait at least 2 hours before getting another one (or be within the time window of your current one). 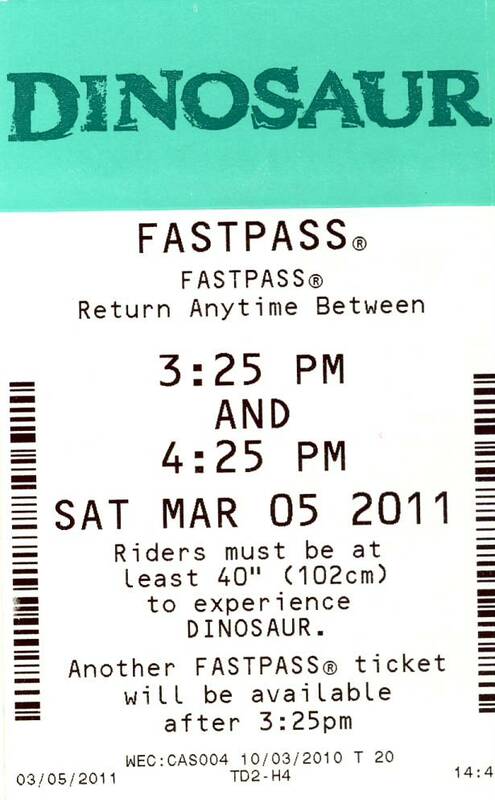 “NOT A VALID FASTPASS You currently hold an active FASTPASS” If you already had a FastPass for the current attraction, the print-out would include a large bold print out, just to make sure you got the point. 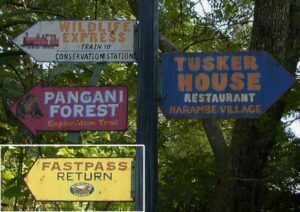 This was not exactly the most Disney friendly communication, but it was effective. The Fast Pass tickets themselves were updated to a different sized, harder card stock matching the newer style that had rolled out at Disneyland. 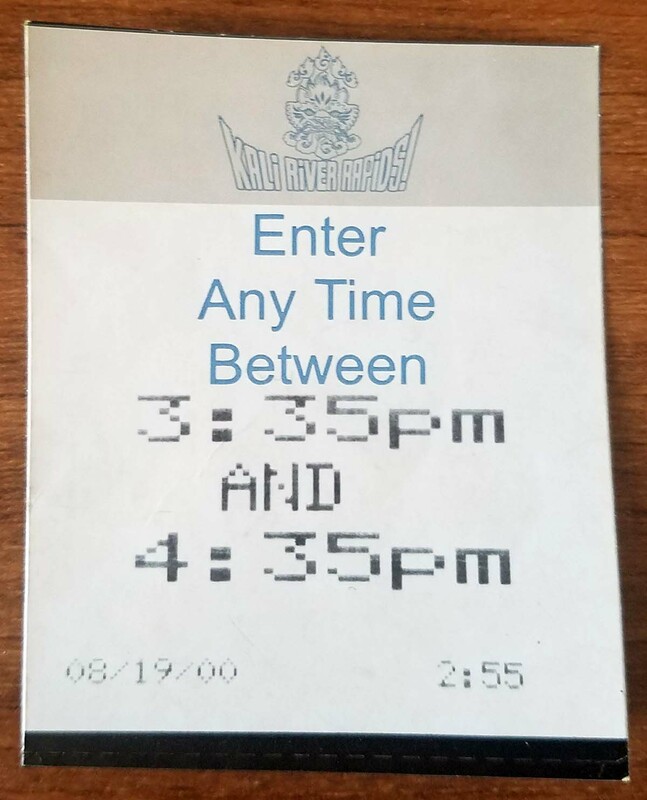 This larger ticket allowed for barcoding, attraction restrictions such as minimum rider height, and the time in which you can get another Fast Pass. 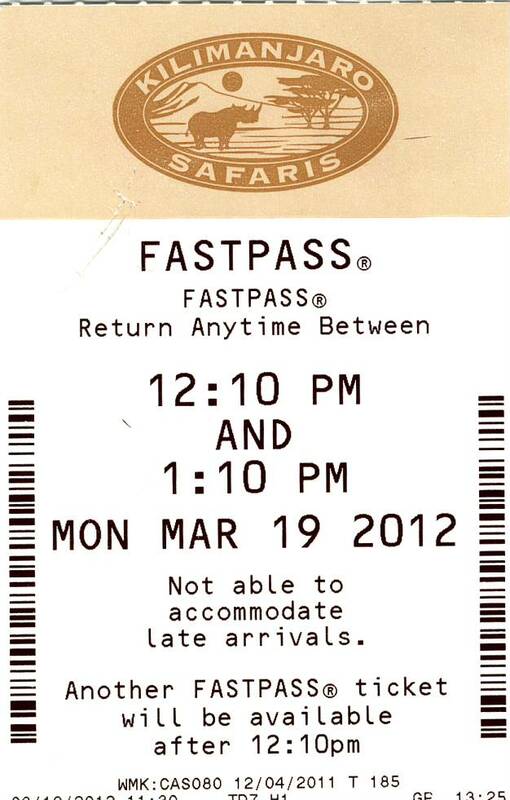 The FastPass+ system replaced traditional FastPasses at Walt Disney World during 2012.